Whether you’re building a personal brand—or just know a bunch of other marketers—you’re somebody’s trusted source. And since building an effective marketing stack is a huge part of all of our jobs, you’ve likely recommended SaaS tools that you like to others. If Unbounce is one you regularly recommend, you’re paying the value of your word forward to us, and that means a ton. Now, we want to repay those warm, fuzzy feelings with cold, hard cash. The Unbounce Partner Program brings the results of your influence back to you (and your wallet). You earn 20% of the recurring revenue for every person you refer to Unbounce, and keep earning for as long as they remain a customer (it can really add up). Plus they’ll get an exclusive discount, through you, for 20% off of their first 3 paid months. So you’re pretty much paying it forward all over the place. After a successful guinea pig run with our fearless beta members, all hailing from different areas of the marketing landscape, the Partner Program is now officially open to everyone! And we hope you’ll be as excited to board this partnership as we are. Keen to join already? 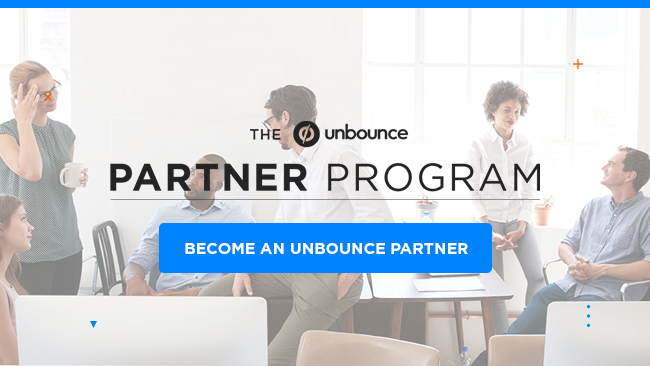 Get all the details here and start earning now as an Unbounce Partner. Marketers who want to share expertise, help their fellow marketers, and further boost their digital marketing street cred while bringing in extra cash. Agencies interested in new ways to create and nurture client relationships (being a Partner means you can offer special Unbounce discounts), promote their business, and create new revenue streams. Influencers looking to bring in passive income while helping members of their audience grow their own business. 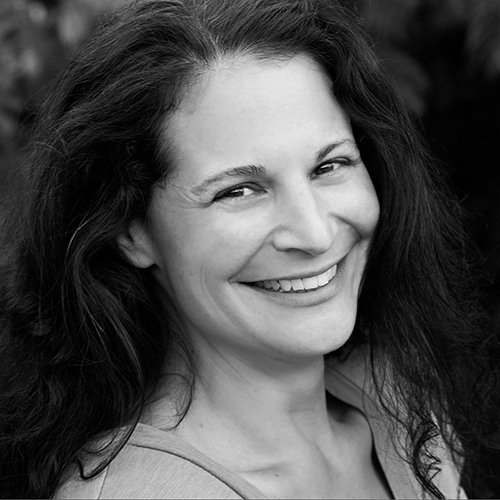 Denni Griffith, President of Marketing Efficiency Consultants, has already been killing it in our beta program. Anyone who wants to become an Unbounce Partner can, and you don’t have to be an Unbounce customer to be a Partner. If you have colleagues, friends, or people in your network who could benefit from using Unbounce (i.e., get higher conversions from their marketing campaigns, lower ad costs, and see meaningful growth for their business), you’re already halfway there. Let us take care of the other half and get you paid for it, too. Sales guides and educational material on everything Unbounce. Co-branded assets to toot your business’s horn along with our partnership’s. Pre-populated promotional templates for social media and email. A personal dashboard to track your wins (also known as the ka-ching! meter). Exclusive discounts for your referrals—20% off their first 3 paid months on a monthly plan—to sweeten the deal. A real, live, breathing, dedicated Referral Coach (say hi to Ty) on hand to help with whatever you may need. Email partners@unbounce.com to get in touch with Ty directly. He’s there to help so whatever questions you have, ask away! How much do I get paid, and when? Every person you refer who becomes an Unbounce customer gets you 20% of the recurring revenue for the lifetime of their subscription—so how much you earn depends on the plan they sign up on (there’s no set amount). Once they start their 30-day trial, you start earning. If they’re still a customer at the 60-day mark, you’ll bring that bacon home. Is there a cap on how many referrals I can make? Nope! You can make as many referrals as your hustlin’ heart desires. There is no limit on how much revenue you can earn through the Partner Program. You’ll cash out you referral rewards at the end of the month, either through a PayPal payment or Stripe direct deposit. All earnings will be in USD, but you can get paid in the currency of your choice. Where do I manage my referrals? We use top-tier referral platform PartnerStack to manage the Unbounce Partner Program. Once you join, you’ll set up your PartnerStack account and get access to your dashboard, Referral Coach, promotional resources, FAQs, and more. Just click below to head to the sign-up page. After so many years of hearing from our amazing customers and members of our community who’ve recommended Unbounce to their friends and colleagues, we’re beyond excited to be able to *officially* give a proper thank you. Hope we can call you partner soon!